Built in three phases between 1922 and 1941, the Coney Island Boardwalk officially opened on May 15, 1923. For the past 95 years, the Coney Island Boardwalk has been a landmark for millions of New Yorkers and tourists alike, but on Tuesday, it officially became a designated city landmark. The Coney Island Boardwalk opened on May 15, 1923, and was officially named for Brooklyn Borough President Edward J. Riegelmann, who was a primary factor in its creation. Built in three phases between 1922 and 1941, the boardwalk was designed by engineer Philip P. Farley, who also designed the public beach. 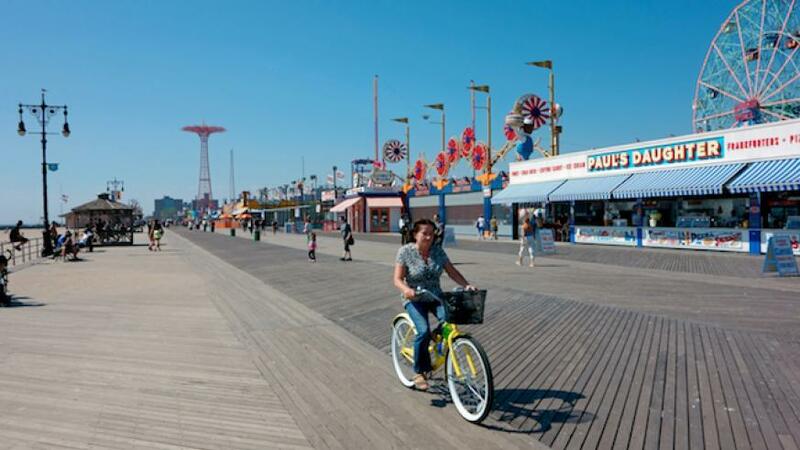 The Coney Island boardwalk extends for 2.7 miles from West 37th Street in Coney Island to Brighton 15th Street in Brighton Beach. While an attraction in its own right, the boardwalk enhanced other nearby amusements, including The Wonder Wheel, The Cyclone roller coaster and The Parachute Jump, which were all landmarked in the late 1980s.